25 February – 1 March 2019 Guest lecturer and artist at the Lasalle College of the Arts, Singapore, for a pioneering interdisciplinary week about the colour Blue. 28 March 2019 – 2:30pm Lecturing on the V&A course ‘Textiles, Ancient and Modern’. 28 June 2019 – 10:00-11:30am Talk for the 40th anniversary exhibition and events celebrating 40 years of Hali Journal of Islamic Textiles and Arts at the Malls Galleries, London. 9 November 2019 Speaking on the colour blue at ‘The Power of Colour’ Textile Society conference, Museum of Science and Industry, Manchester. POSTPONED Speaking at the Natural Dye symposium at Aranya Naturals, Munnar, India. 29 November 2018 Speaking at a day symposium called Eye for Colour held by the Bernat Klein Foundation with the National Museum of Scotland. 21 June Lecturing at the V&A course, Indian Textiles, Dress and Jewellery. 26 May Journeys in Indigo, George Washington University Museum and the Textile Museum. Lecture to the International Hajji Baba Society. 26 May Indigo: Blue Star of the Orient, George Washington University Museum and the Textile Museum. Discussion and Tour. 8 March Speaking for the Victoria and Albert Museum Year Course for 2017/18, Textiles (Printing and Dyeing). 9 March Speaking for the Victoria and Albert Museum Year Course for 2016/17, Textiles (Printing and Dyeing). 10 September Talk to the London Guild of Weavers, Spinners and Dyers in the basement hall of St Stephen’s House, 48 Emperor Gate, London SW7 4HJ. Visitors welcome. Download the Guild’s 2016 Programme (PDF). 7 May Talk at The Asia House Bagri Foundation Literature Festival, London. 29 January Talk on ‘Natural Dyes of the Indian Sub Continent’ at J D Birla Institute, Kolkata. blues and jazz by Beyond Blues duo, keyboard Hamish Balfour and bass Mao Yamada. Exeter University Business School, Henderson Lecture Theatre, Xfi Centre. 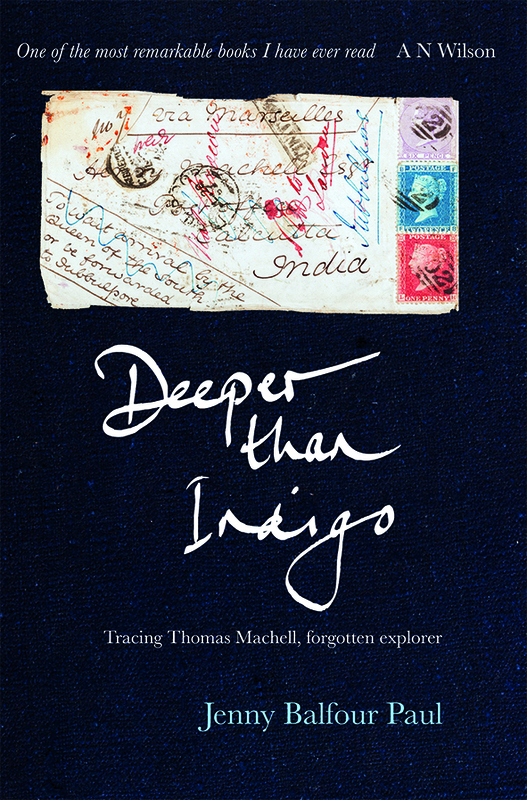 Tracing Thomas Machell, forgotten explorer.